Joy and sorrow, light and shadow, tears and laughter: al these find their places in the music of Ireland. Indeed, you might say that songs and tunes and stories which bring all these in are the substance of Ireland’s music. A fine place to hear this on the recording Heart of the Home, from Cherish the Ladies. 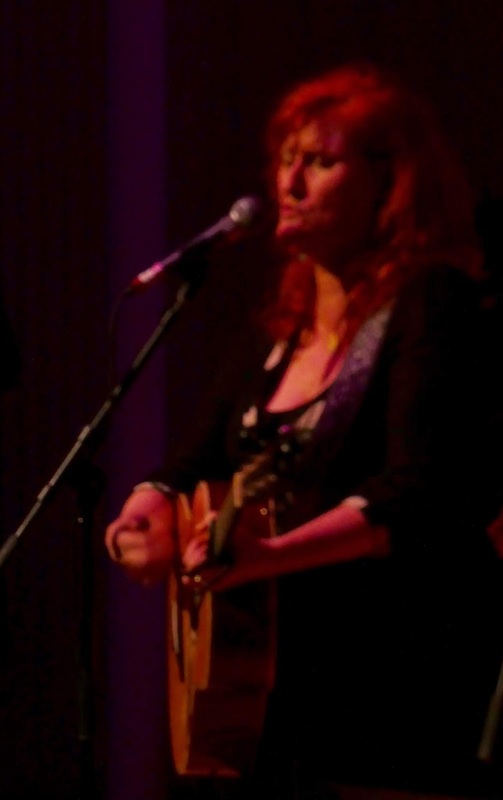 Singer and guitarist Kate Purcell, from Clare, steps in to join the band for the song Glenties. An image filled reflection on a small town in Donegal, it was written by musician Maurice McGroth while he was staying in the town. Purcell and the band combine for a graceful, atmospheric performance which is one of the standouts on the recording. Listen out especially for Nollaig Casey’s fiddle as the band backs Purcell on this track. As you might suppose from the title, the idea of home and well loved places runs through the music chosen for this recording. Another highlight of Heart of the Home is Ambletown, the song of a seafaring man longing for home. That home, in the song, is in the north country, so it is fitting that the Ennis Sisters, who come from Newfoundland in Atlantic Canada, join in as the voices. Ways of thinking about home take twists and turns. Kathleen Boyle joins a Turlough O’Carolan piece with a tune she wrote for some of her former students in The Murphy Boys set. The Letty from Cavan set includes a tune Madden wrote for her neighbors along with tune fro Ed Reavy and Martin Mulhaire, both Irish musicians who emigrated to the United States. There are several sets with tunes the women found in Irish tune books from the nineteenth century which allow them to have great times telling stories as their instruments converse with each other. Farewell to the Catskills is a lyrical tune Madden wrote about a place in New York state which has often welcomed people with ties to Ireland. Galway balladeer Don Stiffe steps in to sing Shadow of a Singer and his Song, in which songwriter Dermot Henry looks back at the changes and challenges of his early days in music, finding among hardships a sense of home in the connection between performer and audience. There is the title track, Heart of the Home, written by Andy M. Stewart. Not long before he passed away, songwriter Stewart suggested that this would be a good piece of Cherish the Ladies to take on, and indeed they did, inviting Irish country singer Nathan Carter to sing the lyrics for the recording and the video. On tour, Purcell often sings the lead; they each add distinctive presence to the song, with the instruments from the band weaving in and out an through their singing. When Cherish began, there were very few well known Irish women musicians. A whole band of top class women musicians? That was unheard of. Cherish the Ladies did, however, make themselves heard. Through the years they have played with top class musicians from symphony orchestras to country musicians to the best in Irish music. 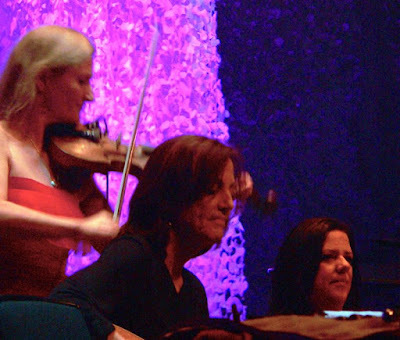 Time in Cherish has been part of the careers of many top class musicians as well, among them, fiddler Eileen Ivers, dancer Jean Butler, singers and songwriters Cathie Ryan and Heidi Talbot, and singer Aoife Clancy. Heart of the Home is a fine next step of Cherish the Ladies. If you know their work you will certainly want it; if you’ve not yet met them, this is a fine place to make their acquaintance. They tour extensively, too . As the music on Heart of the Home suggests, you will certainly enjoy seeking out the chance to see Cherish the Ladies in performance. 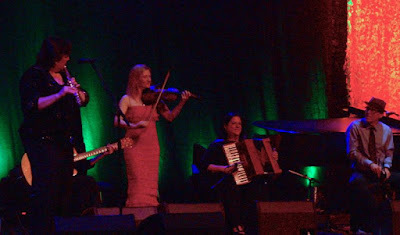 Photographs of Joanie Madden; Nollaig Casey with Mary Coogan and Mirella Murray; the band on stage are by Kerry Dexter. 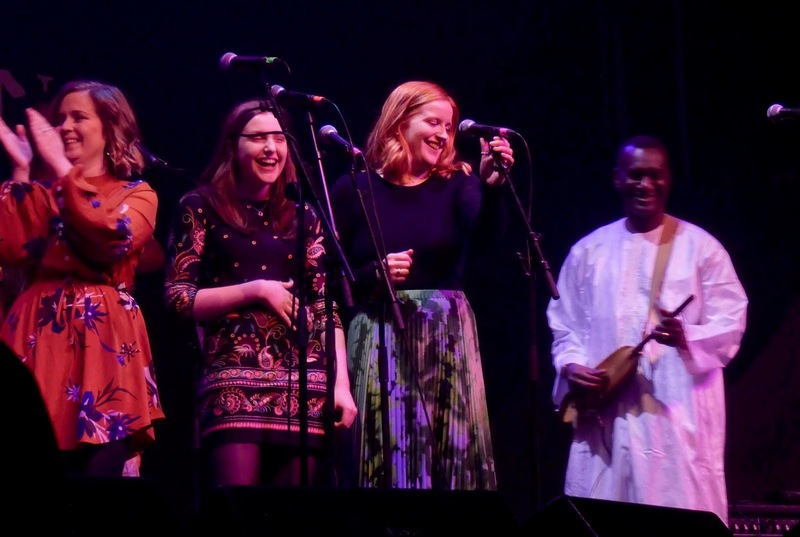 They were made at the Celtic Connections Festival In Glasgow, with the permission of the artists, the festival, and the venue. Thank you for respecting copyright. 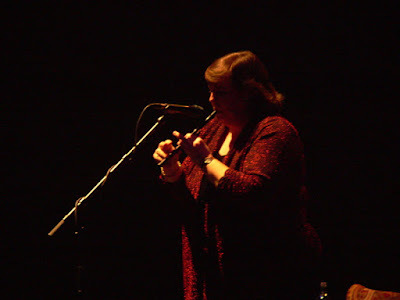 Eileen Ivers Beyond the Bog Road. 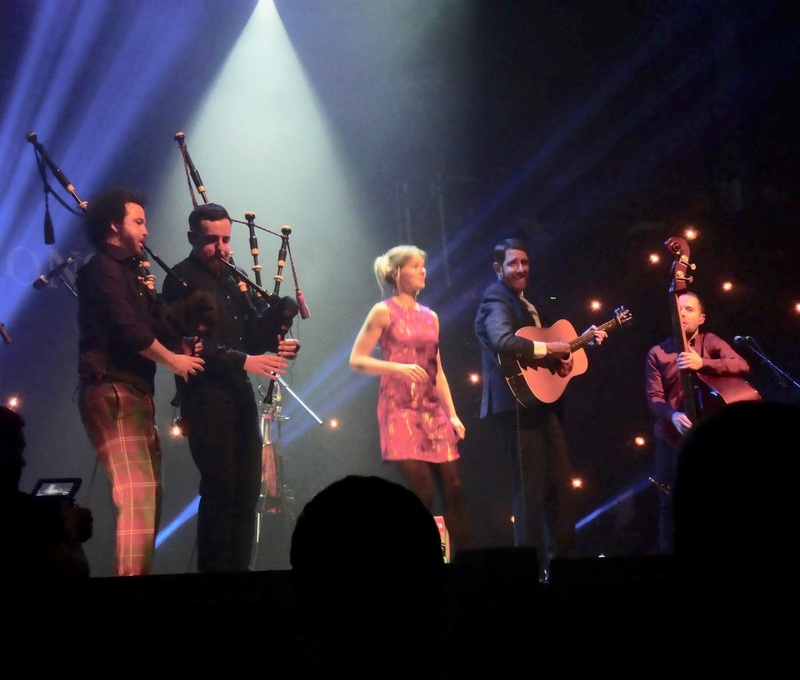 In January every year, Glasgow light up with performances and other events from Celtic Connections. 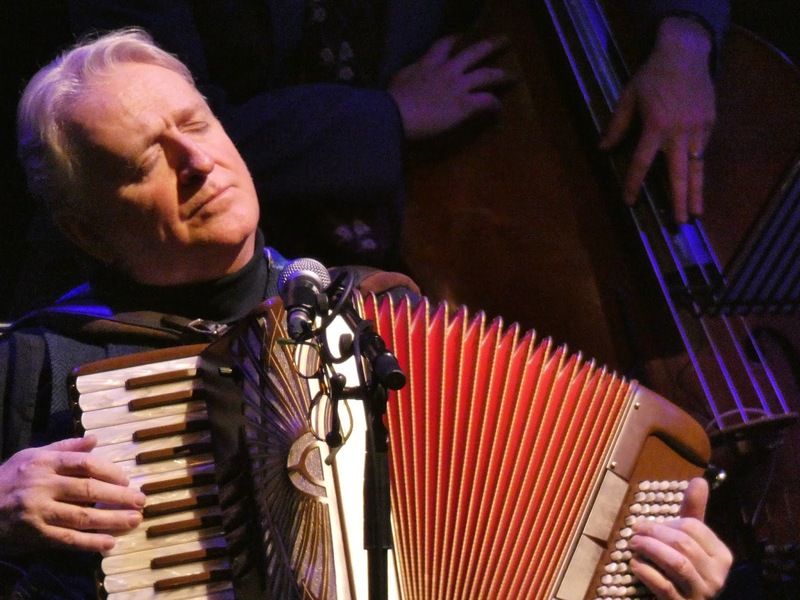 Celtic Connections is one of winter’s largest -- and most interesting -- festivals. It is held across nearly three weeks beginning in mid January every year in Glasgow, with most venues near the city center. The heart of it is music -- there are more than three hundred official concerts during the festival -- and there are talks, workshops, walks, and other events. Breabach shared music from their recent album Frenzy of the Meeting, as well as a few favourites form their back catalogue A lively night at the Old Fruitmarket, with standing ovations callng the musicians back to the stage. 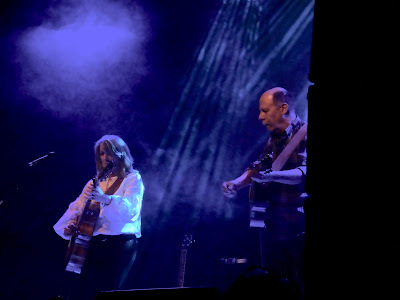 American singer songwriter Gretchen Peters had a solo gig at King's Theatre, and a few days later took part in Transatlantic Sessiosn, an always highly anticipated evening where musicians from both sides of the Atlantic share the stage. Among the songs Peters offered was her classic hit, Bus to Saint Cloud ,p.
Phil Cunningham is a mainstay of the house band at Transatlantic Sessiosn -- and you will oftne find him performing in other part s of the fetival, too. 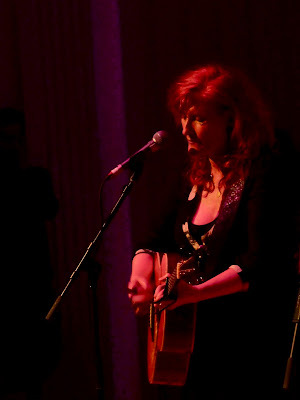 Through music, through lyric, and through ideas, you can always count on Eddi Reader to lead a journey worth the taking. On her recording Cavalier that includes travels to ancient texts, a song that reminds of a 1940s ballroom, a song about fishing -- and so much more -- and many other pathways, byways, and excursions. Through it all Reader’s gorgeous voice and poetic choices guide a journey which makes a confident whole. “Star light, star light, how long did it take you to get here tonight...” Reader sings in a song by Boo Hewerdine that will have you imagining a night sky filled with stars as much as it will have you thinking about how light -- from stars and otherwise -- passes by. 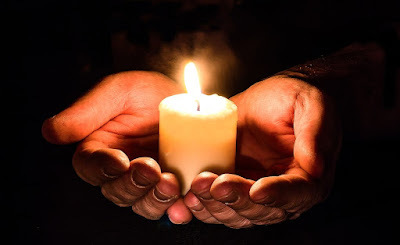 There is a song in memory of hr former partner that is filled with image and story and poetry. Do you remember the song Perfect? In the late 1980s when Reader sang with the group Fairground Attraction, it was their big hit. Reader still often sings it in concert. 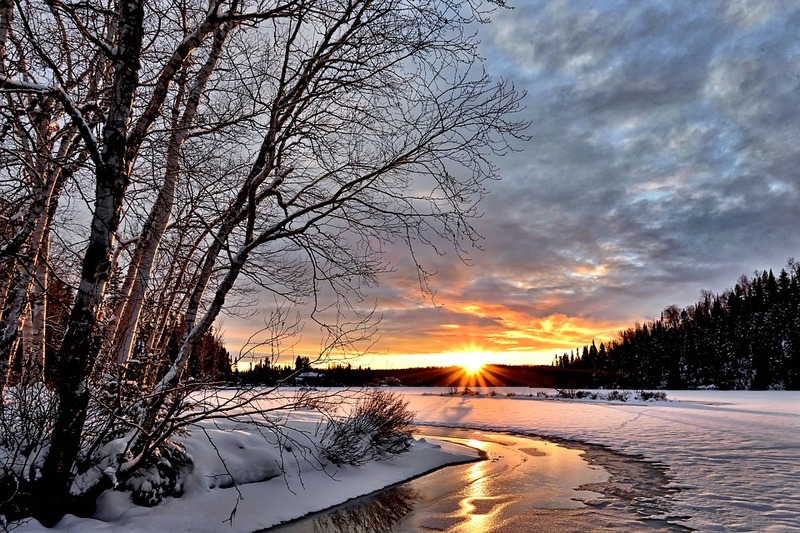 The song Wonderful, which is on this recording, draws from that same well of uplifting emotion with substance backed by a melody you will find yourself listening to and perhaps singing along with, as well. Reader and her husband John Douglas wrote it. There are more gems in the sixteen tracks -- that song about fishing, for one. Go Wisely arose from Reader’s experiences as the parent of children who were becoming adults. Meg o’ the Glen is a lively re-imagining of an older text, something Reader does elsewhere on Cavalier. Take especial note of Pangur Ban, a story with words drawn directly from a medieval poem from Ireland, as a monk contemplated the similarities between the work he did hunting words and the work his cat did...hunting mice. It’d hardly be an Eddi Reader recording without a reference to Robert Burns. She draws the music on Cavalier together, and to a close, with a quiet, conversational take on A Man’s a Man for A’ That. It, like all the songs on the album, invites more than one listen. It is certainly Reader’s voice and vision which anchor the music. Reader and Douglas invited a number of musical friends along, however, to help them realize that vision. Among them are folk you’ve met here along the music road in the past, including John McCusker, Phil Cunningham, John Joe Kelly, Siobhan Miller, and Euan Burton. Photograph of Eddi Reader at Celtic Connections by Kerry Dexter, made with permission. Thank you for respecting copyright. Celtic Connections is one of winter’s largest -- and most interesting -- festivals. 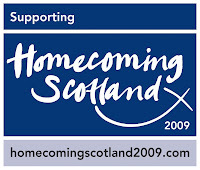 It is held across nearly three weeks beginning in mid January every year in Glasgow, Scotland. The center of it is music -- there are more than three hundred official cocnerts during the festival, as well as talks, workshops, walks, and other events. Winter. Whether Christmas is your holiday or not, it is a time which invites connection and reflection, solitude and community. Here is music to go along with those ideas... take a listen. Here’s a song in Irish -- it is called Don oíche úd i mBeithil/That Night in Bethlehem. Perhaps you will not understand the words, but you will get the idea of reflection and hope. It is performed here by Altan, whose most recent album is The Gap of Dreams. 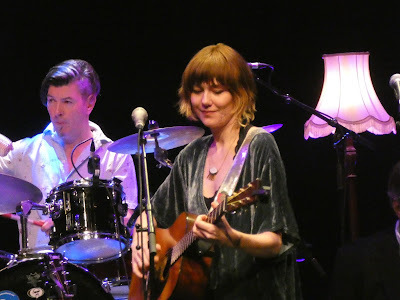 To pick up the pace a bit, here is Emily Smith with the lively Little Road to Bethlehem. You may find on her album Songs for Christmas. 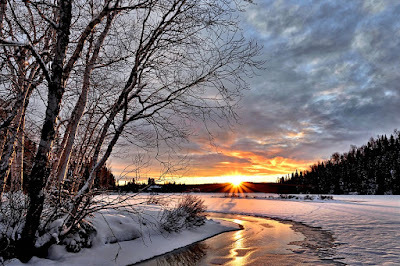 The song Fine Winter’s Night draws on the idea of cold nights which yet hold bright stars, and darkness which draws us in to gather and connect. You may find it recorded on the album called Fine Winter’s Night, by Matt and Shannon Heaton. Winter. It’s a time of gathering in, of reflection, a time for preparation and anticipation, a time for solitude and for community. Music goes well with all these things. Aine Minogue gathered musical friends to help with her new single, Winter, Fire, and Snow. The Tipperary born artist draws on her deep connection to the mystical aspects of Ireland, and of music, in her work. 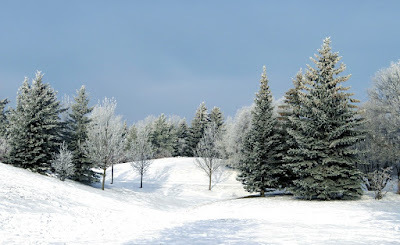 She has visited winter before in her work, in albums and dvds including Winter: A Meditation.. This, however is a new offering for this season, a song written by Brendan Graham. Minogue's instruments are harp and voice. Seamus Egan of Solas and Eugene Friesen of the Paul Winter Consort are among those who join Minogue on this mediation on the changes of winter. Cara Dillon’s album Upon a Winter’s Night began with an idea that she and her husband and musical partner Sam Lakeman had to make a gift for their children. “As musicians and singers we thought it was important that our kids grow up knowing isn’t all about Santa,” Dillon told Belfast Live. When the couple first released the album, they booked a small Christmas tour – which has now become a well loved tradition, for their own family and for others. When people have spoken to Dillon after these shows many of them “have said it brings the magic back into Christmas a wee bit because it’s the more traditional reverent songs,” Dillon says. 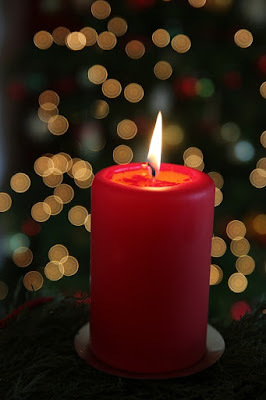 Those songs include O Come O Come Emmanuel, The Holly and the Ivy, The Darkest Midnight, and Infant Holy Infant Lowly. 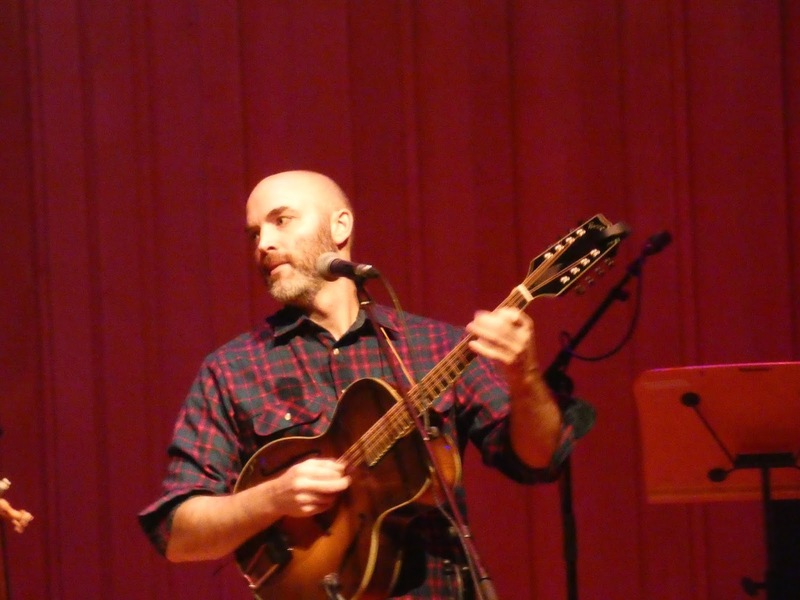 On his recording Snow Day , Matt Heaton mixes songs that share the joy, the connection, and the fun of the holiday season, There are songs kids will enjoy and songs parents and other adults will like too. There’s a really good answer to that question of when you should say Happy Holidays, in the song with that name. Have you met The Sneak? Always good to know about during the holidays… There’s a song for Hanukkah, one that celebrates Christmas Movies, a funny and gentle lesson in Can’t Judge a Gift. There’s warmth and connection in Christmas Eve With You. Rudolph the Red Nosed Reindeer is around and so is Winter Wonderland. Original songs and traditional ones, Heaton has created a collection of music which should become a well loved part of the winter season. Image, emotion, connection, story: these elements are parts of what makes music, and what connects musician and listener. At times musicians use words. At other times sound of the instrument holds the stories and ideas. So it is with the recording Solo, from Sara-Jane Summers. In it, Summers and her fiddles stand alone, and yet they are not alone, as they hold dear and convey a wealth of stories. Often Summers shares her gifts of playing and composition in collaboration. 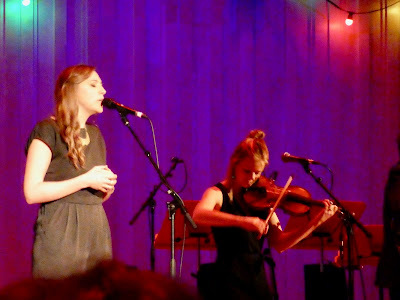 The Nu Nordic band Fribo, the chamber folk ensemble RANT, the contemporary string quartet Quatuor Bozzini, the Celtic fusion Grit Orchestra, top Gaelic singer Julie Fowlis, are some of those with whom she has worked. There are also the albums Summers has made with her husband, Finnish guitarist Juhani Silvola, which have won wide acclaim. For her album Solo, however, Summers wanted to create what the title suggests: just the woman and her fiddle. 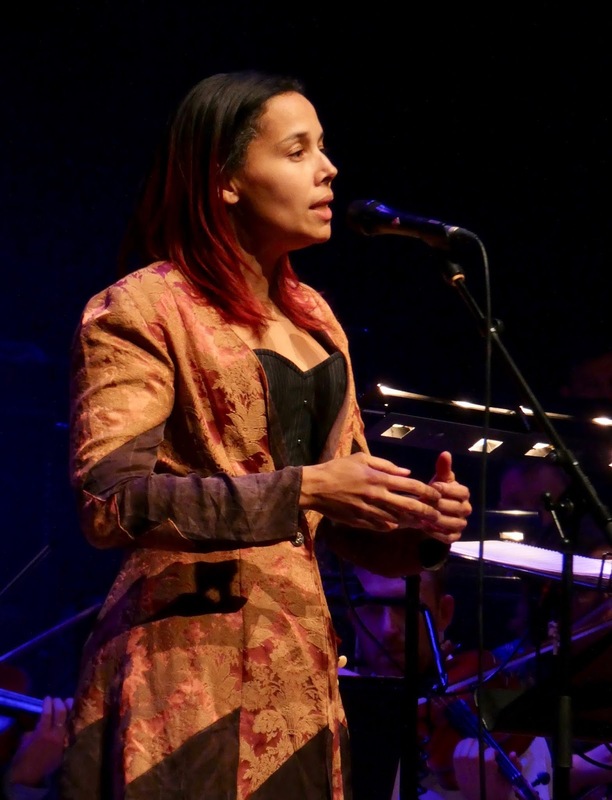 She recorded it in a church near her adopted home in Norway. 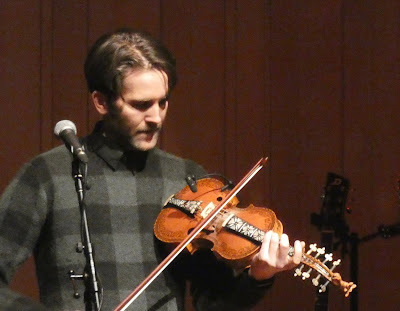 Summers, who comes from the Highlands of Scotland, has long been drawn to and has studied music of the Nordic lands. Elements of that infuse her work. 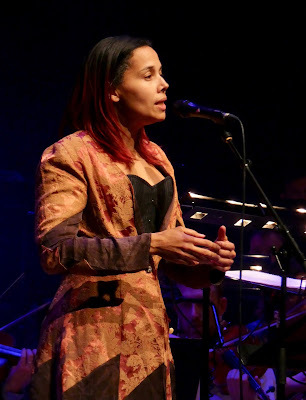 Her heart, though, is in the Highlands, and it is to that music she looked first when choosing what to include her solo project. There are slow airs, and there's a snap of strathspey. There's a nod to the Nordic lands on one tune, and one original composition which stands well alongside material from the tradition. What comes clear is the sound of Scotland. Though it is not spoken, what comes clear is the cadence of Gaelic. In the faster paced tunes such as the set including three traditional strathspeys, one can hear the cadence of the dance, as well. For the most part, the music Summers has chosen here tends toward the side of reflection. That's not to say it's quiet, always, though that's included. 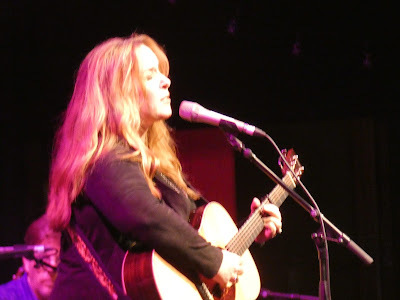 What stands out is, rather, the quiet intensity and the deep connection among musician, instrument, and the music she's chosen. It is a recording well worth your time for repeated listening in order as Summers has set it out. If you've only time for a taster to begin, though, the opening track, Lath' a' suibhal Sleibhe Dhomh/ On a day as I traversed the mountain makes a fine place to start. Riddell's Lament for King George V, that set of strathspeys which begins with the tune Are You Always Pleased, and Morning Prayer, a tune written by Summers herself, combine to make a good introduction to the whole. You will want to listen to all of them, though, and to read the sleeve notes in which Summers gives a bit of history and context to each the tunes. Some of the tunes Summers has chosen from her own research; some are ones she's known most of her life; in several she makes tribute to her teacher the late great Donald Riddell, and to his teacher, Alexander Grant of Battangorm/ Sandy Battan, who was a relative of Summers. "Donald was very excited to give the gift of the tradition back to my family and this circle has always meant the world to me," Summers says. A gifted and creative tutor herself (she has. 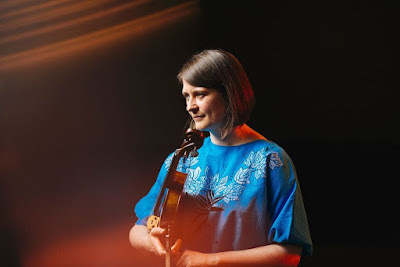 among other things made an instructional dvd focused on the strathspey), Summers keeps the giving of gifts going with that work, with her collaborative projects, and especially, with this recording, Solo. Photograph of Sarah-Jane Summers by Johannes Selvaag.